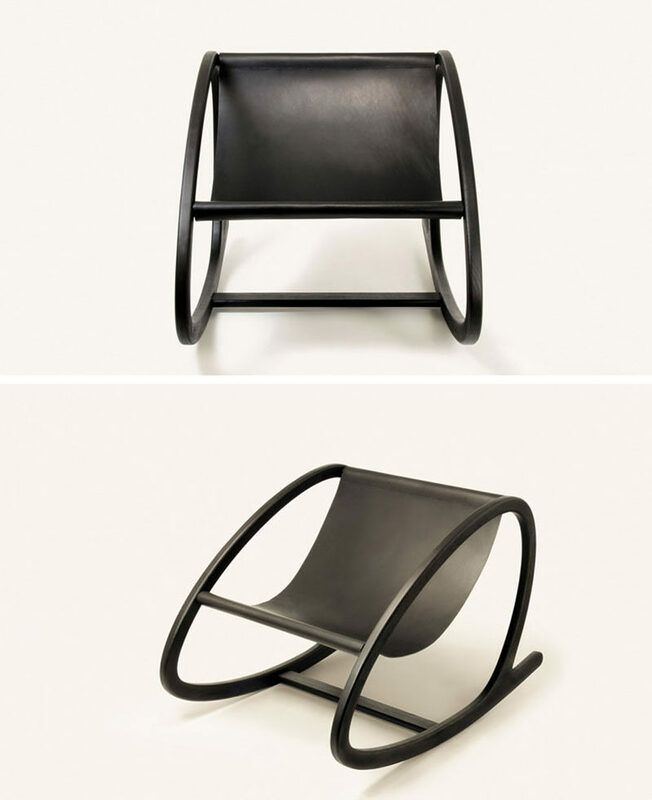 Di Tao and Bob Dodd of Toronto design studio Objects & Ideas, have crafted a modern rocking chair named ‘Wye’. The designers were inspired by the gentle curves of the Wye Marsh in southern Ontario, and their desire to challenge the traditional stiff chair perched on a curved rocking base. 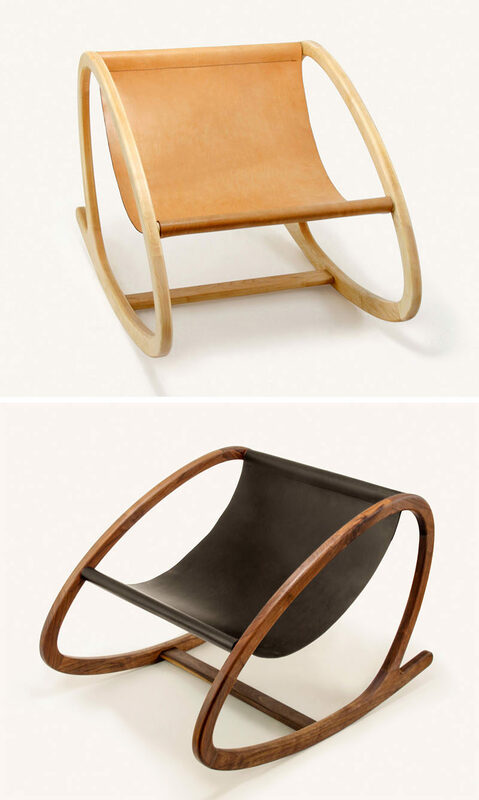 The design of the rocking chair is composed of iconic loop frames made from wood and a flowing sling seat made from leather.